When did you first realize that you wanted to pursue your interests in racing? My interest in motor sports began at a very young age. While kids my age were playing with GI JOE, I was playing with Hot-Wheels and Matchbox cars. Later in high school, my parents bought me my first car that was a typical 4-door, automatic sedan. My parents had gotten it for me to go to school and work, but it just wasn’t for me. When I was 19, I worked 2 jobs in order to save up enough money to buy my first sports car. I wasn’t even able to drive manual at this point so I had a close friend drive it home for me. My first live encounter with racing was shortly after I purchased my car and I was instantly hooked by what I saw. How did you get involved in this hobby and what influenced you to follow the path you chose? After watching my friends compete in a few races, I wanted to give it a try. The next time my friends went to the track, I went along with them and this time I would be participating. A couple of years later, I connected with Jeff Fazio from Jekyl-Hyde racing, whom I had met through an automotive enthusiast forum.. Soon there after, I became a regular part of the pit crew for Jekyl-Hyde Racing. This only increased my interest and knowledge, which also fueled my desire to race. What projects/races are you currently involved in/working on? What have you accomplished so far? Right now I’m working on preparing my car for the upcoming race season and am also looking into other forms of racing. Last year I got into the Drag Racing semi-finals and would like to try to get into the finals this time around. Even though I work a regular job in Finance, I have also started up a side business with one of my friends called PRIME Performance. We mostly modify/maintain performance based cars to make them perform at a higher level. We’re only at the shop after work and on weekends but, maybe it will become a big business some day. Did you experience any difficulties as a Sardar? I did have some issues figuring out how to wear a helmet, which is required by the NHRA and for good reason. I wear a bandana and then put the helmet on over it. While I’m not actually racing, I take the helmet off and tie a small Keshki. As far as acceptance by the import racing community, it is very diverse and they mostly welcomed my interest. I have noticed that when you are racing, people don’t care much of what you look like, where you come from, or what you believe in. They only really care about how well your car is set up and how well you can drive. I have made some great life-long friends through this hobby. What advice would you recommend for our upcoming generations of Sikhs? Don’t be afraid to explore your curiosities, but keep your priorities and responsibilities in order. Be prepared to answer any questions that people may have in an open and friendly manner, whether it be about yourself or your hobby. People will respect you for your courage, skills, and knowledge. Have you done something recently to stand up for your rights? Do you have an inspiring story to tell other Sikhs? Would you like to serve as a role model for Sikh youth? If so, tell us about it here, and we may feature your story on Khalsa Kids’ “You’re Not the Only One” page. Your story can be used to help other Sikhs around the world. Who are the Singh Twins? The Singh Twins are professional artists that use their talent and passion to express their ideas and opinions. Learn about how Sikhi has influenced their masterpieces. Who is Jagdeep 'J.D.' Singh? Jagdeep 'J.D.' Singh is a competitive car racer who has a need for speed. Learn about his passion for cars and what matters to him most on and off the race track. 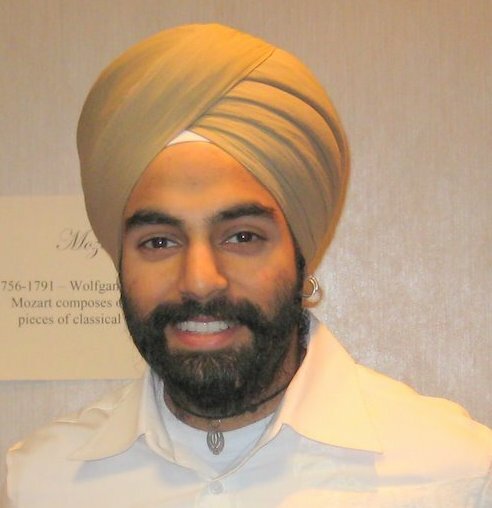 Guru Singh is a Sikh actor and director who is taking his passion for theatre, movies, and music to professional levels. Find out about his artisic style and how he overcame obstacles as a Sardar in the entertainment industry! Jagmeet Singh a.k.a. 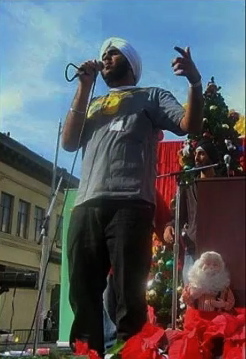 Hoodini is a Sikh rapper who lives in Los Angeles, CA. 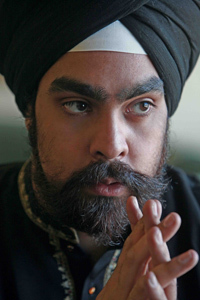 Learn how he has used artistic expression to educate others about Sikhism. Have you ever met a Sikh teacher? 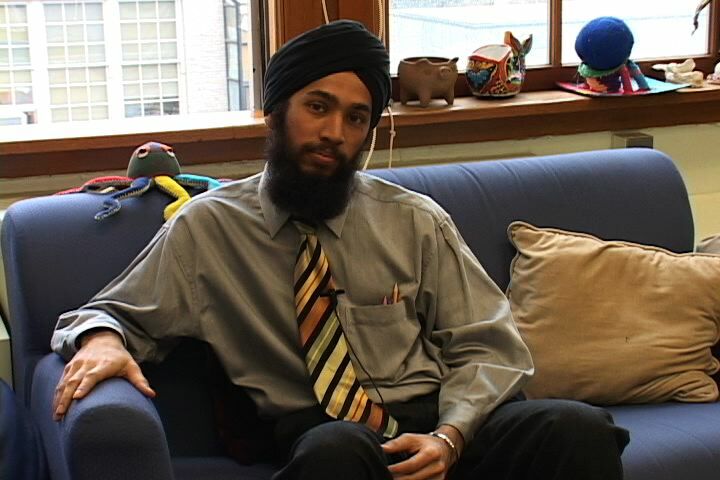 Ajeet SIngh Matharu is a US History teacher at a high school in Brooklyn, NY. Check out his video and interview to see just how rewarding being a teacher is. He is proud to be Sikh and tries to use his profession to educate students and teachers alike about wearing a turban and being Sikh. Do you have a question about Sikhism that you need answered? We have experts taking your questions on a new topic every month. Then you can read the answer on the Khalsa Kids discussion forum.